... and I'm an outcome-driven design leader. I use service design, agile management, and lean startup methodologies to unlock innovative opportunities. The world is changing at an incredible pace and our expectations of organizations are changing even faster. Hence the million-dollar-question: "How might we transform how we serve our customers and employees to address the rate of change?" In the day, I work as a design consultant, leading diverse teams through customer research, ideation, prototyping, and implementation. My work has gifted me with the privilege of building design teams all around the world — including Toronto, Vancouver, San Francisco, New York, Beijing, and Copenhagen. Our projects have received numerous international awards, including Best of CES and the Consumer Electronics Association Innovation Award. In 2014, I was also named one of Canada’s Next 36 Leaders. 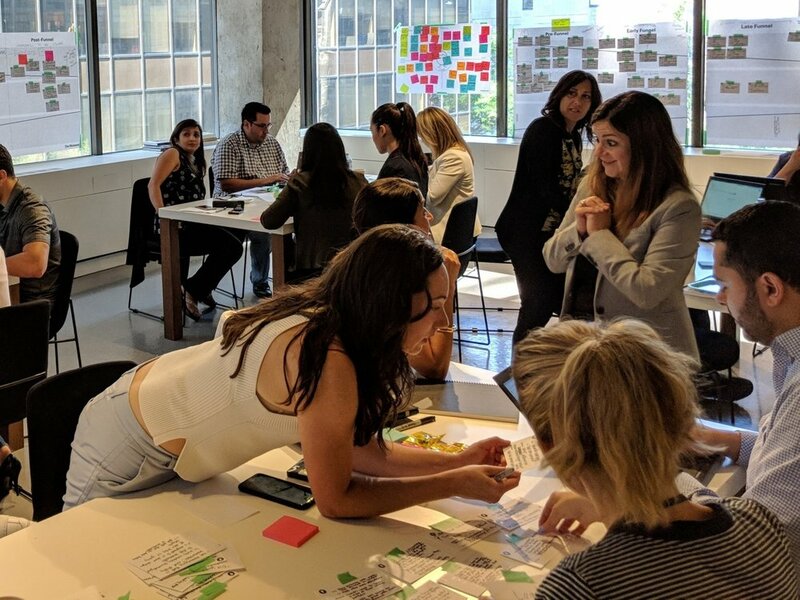 On evenings and weekends, I co-lead The Prosper Lab, an inclusive learn-by-doing environment for Torontonians on welfare to build pathways to sustainable employment. I've learned that by giving low income communities entrepreneurial skills, we will enable them to rise above poverty. I also host Action Learning Toronto, a community of people dedicated to supporting each other through asking better questions. I've learned that by holding safe space and practicing active listening, we can reset our relationship to advice giving and develop our coaching skills. Otherwise, you can find me people-watching at coffee shops, backpacking with friends, and attempting to recall my highly stubborn Shiba Inu. "Chenny has a passion for results. Her main goal is to empower your team to understand how they can innovate to improve the customer experience. She guides your team to where they need to be in order to get ahead of the curve in today’s highly competitive and complex business environment."